Americans like to stress the fact we declared independence from England in 1776, and have been celebrating that event on the 4th of July ever since. No American remembers the struggles our country endured in securing our independence, and for the most part the day represents a great excuse to head to the park and barbeque hamburgers or hot dogs – topped off by a short fireworks display in the evening. In Chisinau, Moldova, independence is an event everybody over the age of 20 experienced. August 27th marks the 19th year of independence from the Soviet Union. As a newly democratized state, Moldova has faced challenges, whether it is from politicians attempting to understand the dynamics of a democratic state, communists desperately trying to retain some snippet of control, or corruption by leaders who wish to capitalize on the chaos Moldova overcomes while rebuilding their society and economy. 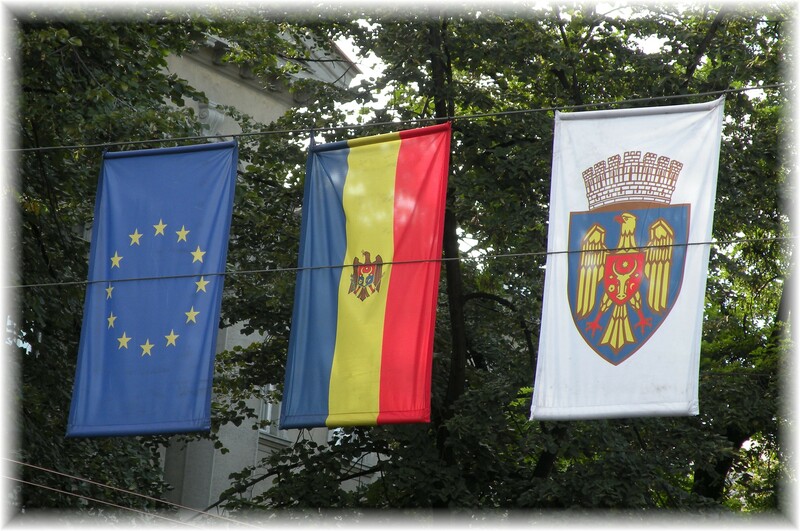 Most Moldovans look to Europe, and their ethnic roots to Romania as a model and direction to build Moldova’s future. European Union flags fly beside Moldovan flags, and automobiles from around the EC routinely fill Chisinau’s streets. It is an exciting and scary time. Like starting a new job in a company that has a different culture and objectives – but a great reputation in its industry, Moldovans welcome the opportunity to make their country and quality of life on par with the rest of Europe, and the world. The streets of Chisinau are filled with Moldovan flags, and you can see people on the street wearing makeup in the shape of Moldovan and Romanian flags on the side of their faces. An enthusiasm for their country, an indulgence in celebrating their national identity. Walking into the center of Chisinau the main street is blocked off to accommodate a huge stage, with performers singing Moldovan folk tunes, rock songs, ballads, and anything else that makes young and old well up with pride in their country. Americans and other western nations will find it a bit foreign to see the energy radiating from people on the street, but then again, we have not recently experienced 70 years occupation by an oppressive government. A government whose army is still entrenched along Moldova’s border in Transnistria, which is internationally recognized as part of Moldova, but in reality is an uncontrolled region that is part Moldovan, part independent, and part occupied by Russia. Unless you were present at Pearl Harbor in 1941, for an American the taste of foreign military encroachment on our own soil is an abstract. Those over 30 years old will remember that at the time of independence, there was bloodshed, there was a human cost of freedom and independence that is still fresh in the mind of all Moldovans. And a deep-rooted desire to celebrate the sacrifices and courage of their family members and friends who paid the price of freedom. And celebrate they did. While a large police force was clearly visible throughout the city center during the concerts and festivities, most appeared slightly jealous they could not strip off their uniforms and join in the indulgence of national identity. Others merely focused their energy on ensuring the safety of the people. No incidents such as you would see in Los Angeles or New York such as policeman kicking cyclists off their bicycles, threatening citizens, or trying to intimidate – just keeping it safe. 20 years ago the nation was an infant desperately trying to get to its feet, now, while among the poorest countries in Europe, it is a comfortable place to live and work. While a large percentage of the population lives on a very small income, the GDP is growing at a steady rate, and there is always hope for the future. Telecoms and Internet access are a very pleasant surprise. As in many developing countries, nearly every man, woman, and child has a mobile phone. On one street in central Chisinau you can find up to four separate Orange distributors on one city block (Orange claims they have more than 2400 distribution points), and most have a line of people waiting to get a new phone. Wireless Internet is available throughout the city, and in the central park many park benches are filled with professionals and young people accessing the Internet on laptop computers. Orange Telecom claims they have complete national coverage with 3G, and offer wireless access speeds up to 21mbps. NOTE: I was able to pick up an Orange prepaid phone in about 2 minutes, for about $20 and 600 minutes. I picked up a wireless internet account at the same time – about $15 for 2 weeks wireless access, and have been averaging just over 1.2mbps download speeds – quite enough to watch my Los Angeles TV stations with very high quality over Slingbox. However, on the bad side, Moldova has no energy resources within the country, and is completely dependent on Russia and other countries for fuel, natural gas, and power. While relatively self-sufficient on food, energy availability is at the will of Russia, and Moldova holds the same risk as Ukraine and other countries which have had resources throttled due to political issues with Russia. But today is a celebration. I am almost jealous at the enthusiasm and level of pride Moldovans have for their country. Americans show pride by tying yellow ribbons around a tree in their front yard to show support for soldiers on military duty in a foreign land, we take pride in our economic and industrial achievements, and we show a lot of pride in our ability to show leadership in many ways around the world. Slap an American flag on your pickup truck – and you are a patriot. But we have lost the scars of revolution, and lost the physiological sensation of emerging from oppression to taking on the challenge of democracy. Moldovans have not. 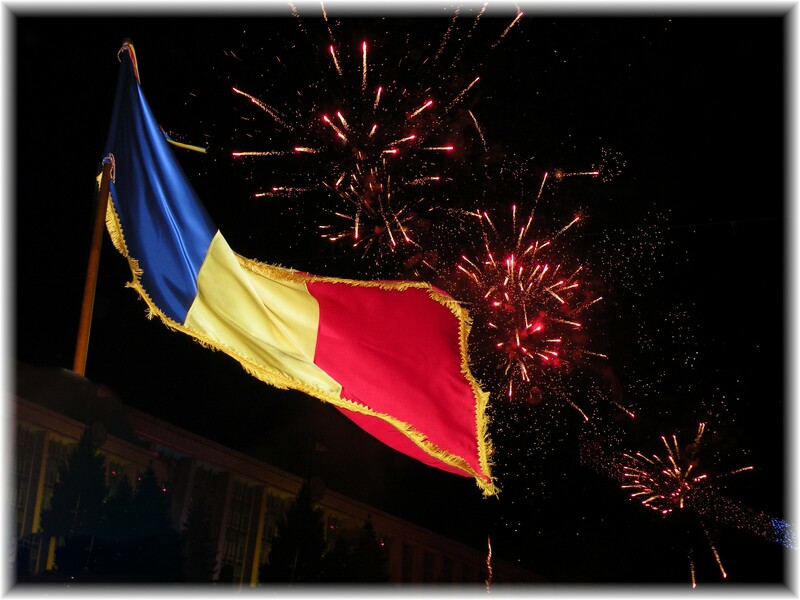 Happy Independence Day Moldova!